.work With Software And Systems Engineering To Collaboratively Derive Hardware Requirements..detailed Knowledge Of Electronic Hardware Design And Troubleshooting..must Be Able To Work In A Team Environment, Interacting With Other Engineers, Technicians And Customers..must Be Able To Manage Their Workload And Assignments With The Ability To Lead Other Engineers. Qualifications: Be, B.tech (engineering) [ Computer Science , Electronics, Telecommunication ]. When electrons move, they create electromagnetic waves that can propagate through free space. This phenomenon was first predicted to exist by James Maxwell, in 1865, and it was first produced and observed by Heinrich Hertz in 1887. All modern communication depends on manipulating and controlling signals within the electromagnetic spectrum. 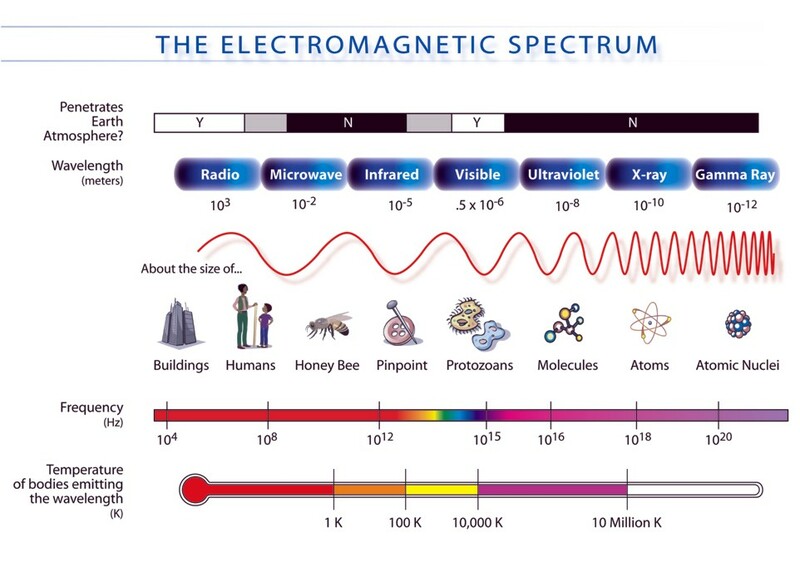 The electromagnetic spectrum ranges from extremely low-frequency radio waves of 30Hz, with wavelengths of nearly the earth's diameter, to high-frequency cosmic rays of more than 10 million trillion Hz, with wavelengths smaller than the nucleus of an atom. The electromagnetic spectrum is depicted as a logarithmic progression: The scale increases by multiples of 10, so the higher regions encompass a greater span of frequencies than do the lower regions. 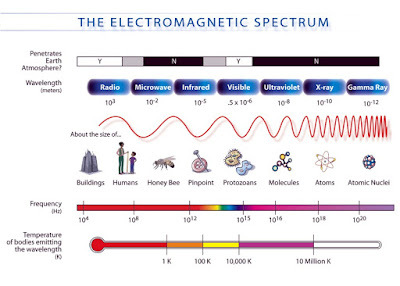 At the high end of the electromagnetic spectrum, signals travel over a band of 10 million trillion Hz (that is, 1022Hz). This end of the spectrum has phenomenal bandwidth, but it has its own set of problems. The wave forms are so miniscule that they're highly distorted by any type of interference, particularly environmental interference such as precipitation. Furthermore, higher-frequency wave forms such as x-rays, gamma rays, and cosmic rays are not very good to human physiology and therefore aren't available for us to use for communication at this point. Frequency—The number of oscillations per second of an electromagnetic wave is called itsfrequency. Hertz—Frequency is measured in Hertz (Hz), in honor of Heinrich Hertz. Wavelength—The wavelength is the distance between two consecutive maxima or minima of the wave form. Amplitude—Amplitude is a measure of the height of the wave, which indicates the strength of the signal. Phase—Phase refers to the angle of the wave form at any given moment. Bandwidth—The range of frequencies (that is, the difference between the lowest and highest frequencies carried) that make up a signal is called bandwidth. You can manipulate frequency, amplitude, and phase in order to distinguish between a one and a zero. Hence, you can represent digital information over the electromagnetic spectrum. One way to manipulate frequency is by sending ones at a high frequency and zeros at a low frequency. Devices that do this are called frequency-modulated devices. You can also modulate amplitude by sending ones at a high amplitude or voltage and zeros at a low amplitude. A complementary receiving device could then determine whether a one or a zero is being sent. As yet another example, because the phase of the wave form refers to shifting where the signal begins, you could have ones begin at 90 degrees and zeros begin at 270 degrees. The receiving device could discriminate between these two bit states (zero versus one) based on the phase of the wave as compared to a reference wave. Qualification: Candidates must have completed BE/B. Tech Engineering Degree with minimum 65% marks in aggregate from a recognized university in one of the above streams. How To Apply: Eligible Candidates are required to fill in e-application' (Online) through Join Indian Navy Website (www.joinindiannavy.gov.in) from 22/08/2015 to 12/09/2015. Qualifications: M. Tech./ MS/ ME / M.Sc (Engg)/ IDD (Integrated Dual Degree) in Power System or equivalent . Application Fee: ₹ 460/- for General and OBC Category; No fee for SC / ST / PWD / Ex-SM Candidates. The application fees of ₹ 400/- and bank charges of ₹ 60/- through deposit of SBI Challan at any branch of State Bank of India. How To Apply: Online Application Window for POWERGRID shall be open from 19/08/2015 and close on 16/09/2015. Centre for Development of Advanced Computing (C-DAC), is a Scientific Society of the Department of Information Technology under the Ministry of Communications and Information Technology, Government of India. Molybdenum ditelluride (MoTe2) is a crystalline compound that if pure enough can be used as a transistor. Its molecular structure is an atomic sandwich made up of one molybdenum atom for every two tellurium atoms[HY1] . It was first made in the 1960's via several different fabrication methods, but until last year it had never been made in a pure enough form to be suitable for electronics. Last year a multi-discipline research team led by South Korea's Institute for Basic Science (IBS) Center for Integrated Nanostructure Physics at Sungkyunkwan University (SKKU) director Young Hee Lee devised a fabrication method for the creation of pure MoTe2. Not only did they succeed in making MoTe2 in pure form, they were able to make two types of it -- a semiconducting variety called 2H-MoTe2 (2H because of its hexagonal shape) and a metallic variety called 1T'-MoTe2 (1T' because it has an octahedral shape) -- which are both stable at room temperature. Making MoTe2 in a pure form was very difficult and it was seen by some as a black sheep of the transition metal dichalcogenides (TMD) family and purposefully ignored. TMDs are molecules that can be made exceedingly thin, only several atomic layers, and have an electrical property called a band gap, which makes them ideal for making electrical components, especially transistors. The overwhelming majority of microchips that exist in electronics now are made from silicon, and they work extremely well. However, as devices get smaller there is an increasing demand to shrink the size of the logic chips that make those devices work. As the chips approach single or several atom thickness, (commonly referred to as 2-dimensional), silicon no longer works as well as it does in a larger, 3-dimensional (3D) scale. As the scale approaches 2 dimensions (2D), the band gap of silicon changes (higher band gap than that of its 3D form) and the contact points with metal connections on silicon are no longer smooth enough to be used efficiently in electrical circuits. This is the perfect opportunity to employ new, exotic TMD materials. The IBS research team was able to exploit the two versions of MoTe2 and make one 2D crystal that was composed of the semiconducting 2H-MoTe2 and the metallic 1T'-MoTe2. Applications are invited from eligible Indian Nationals for the following posts in Bharat Dynamics Limited, a Miniratna category-I Public Sector Enterprise under Ministry of Defence having its registered office at Kanchanbagh, Hyderabad. Selected candidates may be posted at any of our Units/ Offices located at Hyderabad/ Bhanur-Medak District/ Vizag/ Upcoming New Projects/ Liaison Office, New Delhi or anywhere in India as per requirement of the Company. Engineer (Electronics & Communication) : 15 posts, Pay Scale : Rs. 16400-40500, Age : 28 years, Remuneration: Rs.18000 per month for those possessing experience 0 to 1 year, Rs. 21000 per month for those possessing experience between 1-2 years and Rs.23000 per month for those having more than 2 years of experience. How to apply : Candidates meeting the above criteria may come for the Walk - In - Interview to be held on 23/08/2015 (Sunday) at 9:00 AM onwards at “Bharat Electronics Limited”, P.O. Bharat Nagar, Sahibabad, Ghaziabad (U.P.) (Near Vaishali metro station). How to Apply : Apply Online at ONGC website on or before 20/09/2015 only.